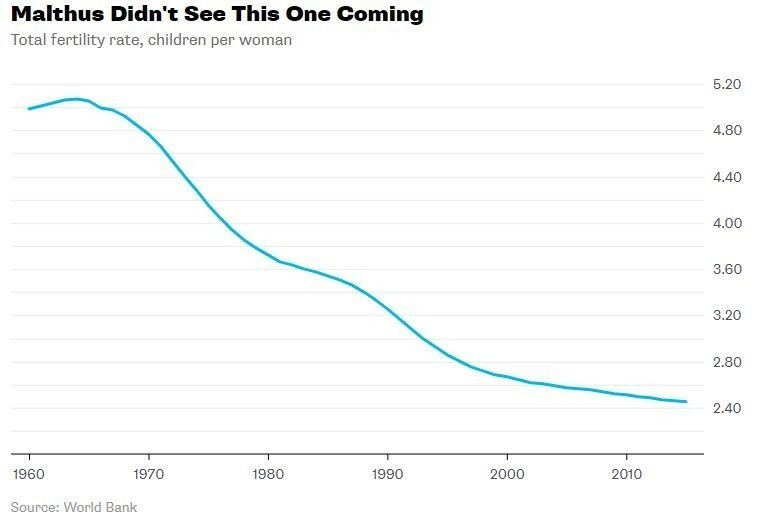 The world’s population is likely to hit 9.8 billion by 2050, although fertility rates are falling globally. The vision of a post-apocalyptic overpopulated world has been a favourite nightmare scenario of science-fiction writers and filmmakers for decades: think Blade Runner and Soylent Green. 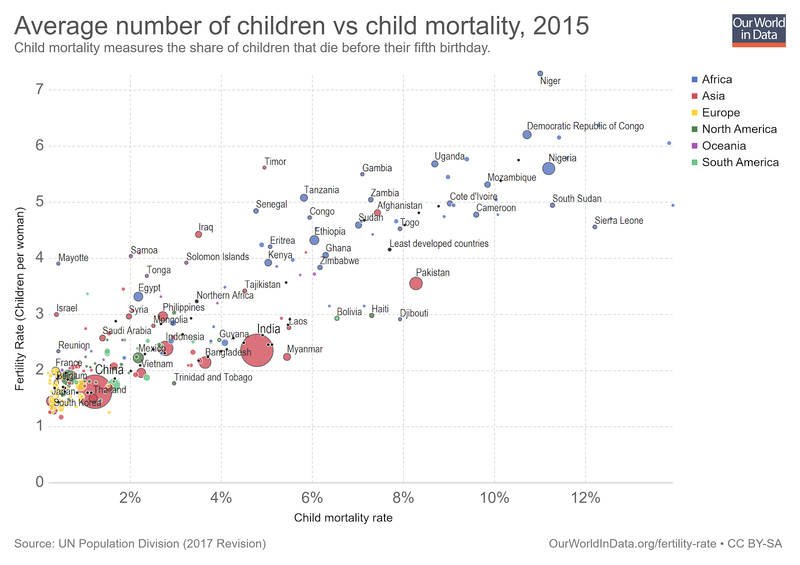 But data from a variety of sources – including the UN and the World Bank – indicates that the total number of live births is falling around the world, including in developing nations. Some commentators have suggested the decrease in fertility rates is good news for our descendants who will escape gruesome deaths brought on by food shortages and starvation, like in the movies. In previous generations, national birth rates were high as adult populations reproduced to ensure they would be taken care of in old age, and parents frequently had many children as insurance against high infant mortality rates. However, factors such as the development of more effective medicines and improved access to education for women may be contributing to declining fertility rates. 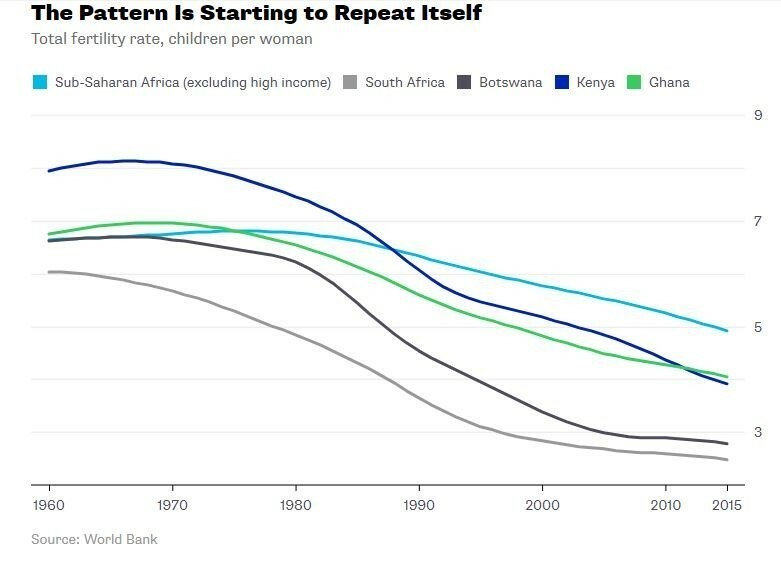 Despite this, some regions are still experience significant population growth.The UN noted, for example, that despite lower fertility rates in Africa, where rates fell from 5.1 births per woman between 2000-2005 to 4.7 births between 2010-2015, the populations of 26 African countries are likely to “at least double” by 2050. Even with fertility rates falling globally, the UN points out, the world’s population is likely to total 9.8 billion by 2050.